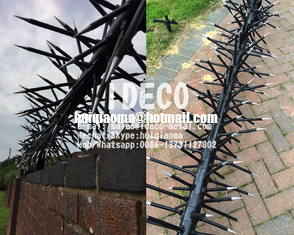 For the ULTIMATE deterrent we offer our own bespoke range of rotating wall spikes. 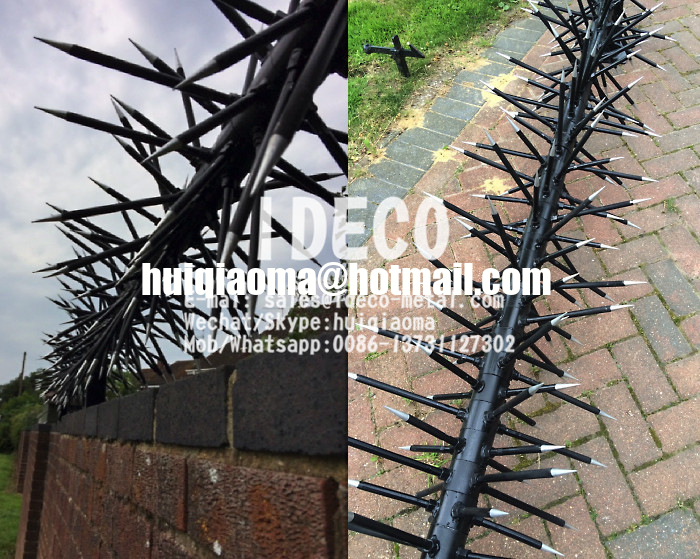 These heavy duty steel wall spikes are supplied in 2m sections and are modular enabling the user to create a continuous barrier along a wall or edge of a building. 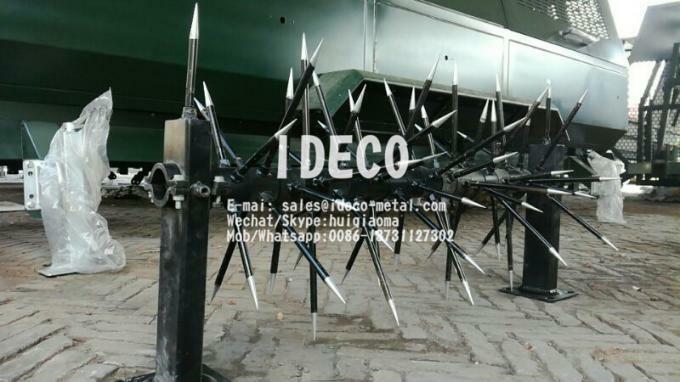 Each 2m section weighs 46KG and contains 158 extremely sharp steel spikes. 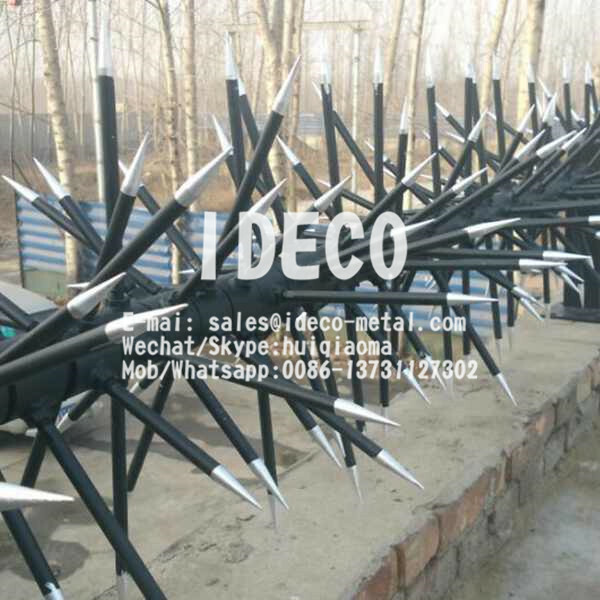 Standing 53cm/21 inches high the rotating wall spikes are an imposing physical barrier that will deter even the most resourceful intruder. Each post support has base plate 15cm/6 inch square so requires a substantial base to accommodate the supports. The rotating wall spikes can also be fitted to the side of building projecting outwards at 90 degrees if required. Supplied either crated as a self assembly with detailed assembly instructions included or if required we offer a complete delivery and installation service at an additional cost.